Wow what an awesome vehicle here. 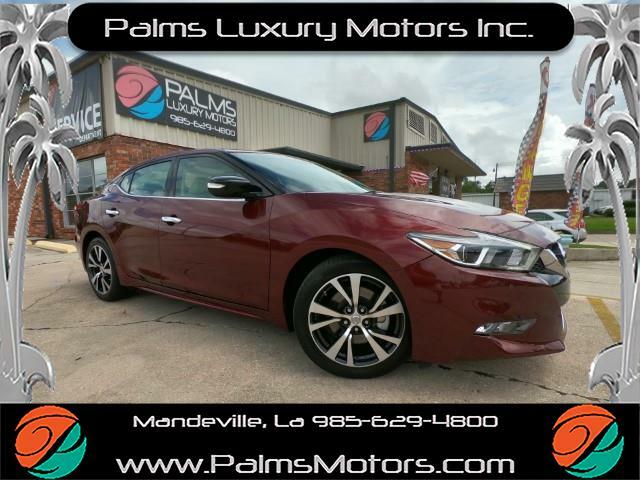 This 2016 Nissan Maxima SV Premium is very well equipped with Navigation, Leather, Rear Camera and more. This is not a rental unit! You can be sure this vehicle is as nice as stated no blemishes. PLEASE CONTACT THE DEALER FOR DETAILS CONCERNING VEHICLE EQUIPMENT AND AVAILABILITY. ALL VEHICLES PRICES CHANGE BY MARKET VALUES SOMETIMES DAILY OR WEEKLY. PRICING IS SUPPORTED BY THIRD PARTY INTERNET DATA FOR SIMULAR VEHICLES UP TO 500 MILES AWAY. I understand by texting the dealer I hereby consent to receive text messages from or on behalf of dealer at the mobile phone number I provided above. I understand that I am opting in to receive text messages from dealer or their employees. I include consent to receive phone calls at the mobile phone number I provided. I understand that message and data rates may apply.